Shri Tulja Bhawani, whose blessings helped Chhatrapati Shivaji Maharaj in winning key battles against mughals. 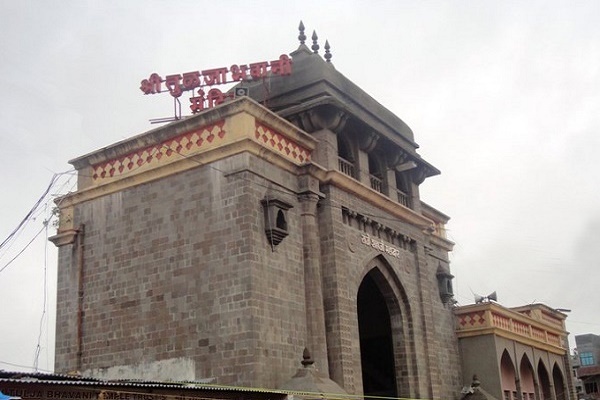 Located at a distance of 45 kms from Solapur district, the temple is nearly 800 years old. Out of 51 shakti peeths, Tulja Bhawani is ranked as 2nd shaktipeeth. 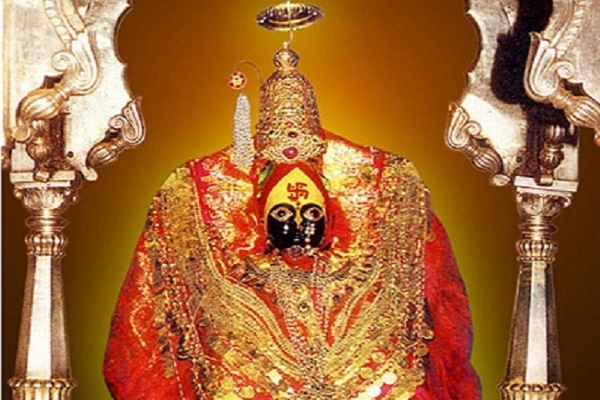 Maratha, Yadav and numerous other followers worships the deity as their kuldevi or generations. 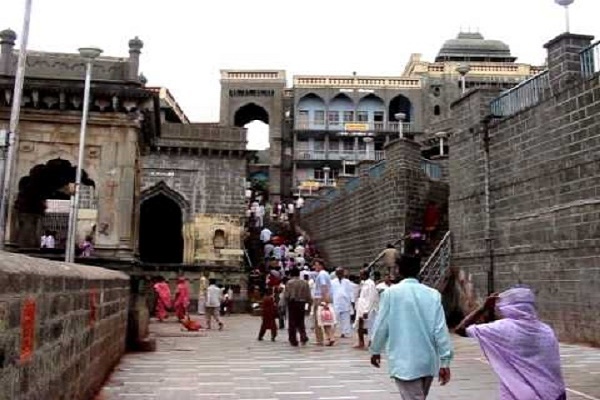 There are 3 entrances to the temple, are named after Sardar Nimbalkar, Raja Shahaji, and Rajamata Jijavu. 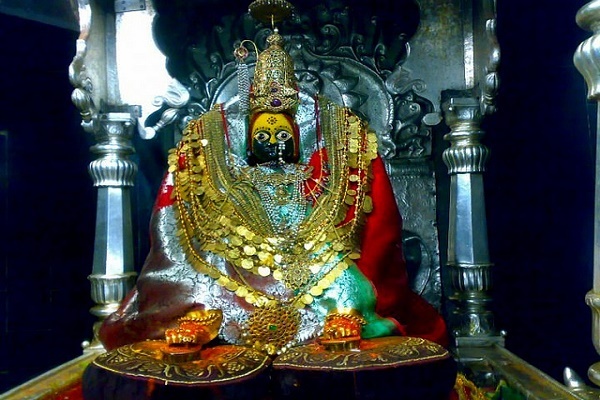 The sanctum sanctorum of the Devi Tulja Bhawani hosts a 3 feet high deity of godess with eight arms holding shastra and the head of rakshasha Mahishasura. Darshan Timings: Temple opens at 5 am daily with heavy drumming sound of big dhols. It enthrals the atmosphere with shakti, dhyan and shraddha. This is followed by puja at 5.30 am and bhog. Godess is offered dhup arti in the afternoon and, Shejarati in the night. The temple closes at 10pm daily..
How to Reach: Visitors can easily reach the temple in Osmanabad by bus or taxi from Solapur. The local transport is quite affordable with high frequency.